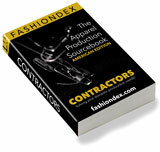 LEFT IN STITCHES INC. solving Dresses & Blouses production and contracting needs. Description: Over 29 years of patternmaking, grading and sewing. Samples, prototypes. Work with knits and wovens. Compare LEFT IN STITCHES INC. with all 12 listings in Dresses & Blouses.